To drive a vehicle in Singapore, you must possess a valid Singapore driving licence for the class of vehicle that you want to drive. This requirement applies to all citizens and permanent residents of Singapore and also foreigners who are residing in Singapore for more than twelve (12) months. Foreigners who reside here for less than twelve (12) months must possess a valid foreign licence and International Driving Permit (IDP) issued by an authorised body in their country of origin e.g. the Automobile Association (AA). If an International Driving Permit is not available, an official translation of your foreign licence in English is required. Driver from ASEAN member countries only need to possess a valid driving licence issued by the relevant driving licence Authority in order to drive in Singapore without IDP. Possession of Controlled Drugs is presumed to be for trafficking, an offence which can carry the death penalty. Any offense committed while being intoxicated (drunk) is punishable under the law. Drunk driving is serious offence. For more information, please visits Singapore Police Force. Students of foreign nationality are not allowed to work in Singapore during term time or vacation time unless they are granted Work Pass exemption under the Employment of Foreign Manpower (Work Pass Exemptions) Notification. Smoking in enclosed areas, such as school, cinemas, public transport, offices, indoor restaurants, etc are not allowed. Warning signs are displayed on these places. Students who need help in sourcing for an accommodation in Singapore, can approach our help to recommend or introduce an accommodation that suits your preference. The estimated rental rate per month ranges from $500 to $1,500 per month. Students must also bear in mind to set aside expenses for food, transport, entertainment and miscellaneous. The estimated amount, which varies with individuals, ranges from $450 to $650 per month. When planning your budget, you will need to cater for accommodation, food, transport, clothing, telecommunication, books & stationary, medical insurance and other personal expenses. An international student in Singapore spends on average about S$750 to S$2,000 a month on living expenses. Birmingham Academy Pte. Ltd. provides protection to our students for hospitalization and surgery with its Group Hospitalization & Surgical Insurance, which is fully compliance with the guideline set by CPE (Committee for Private Education) for EduTrust. This insurance for students covers up to S$20,000.00 (annual limit per person), which is sufficient for students in most cases. When I first came to Birmingham Academy, I do not have a great impression as the academy wasn’t very big. I was thinking of transferring school but decided to try for a week. It was amazing. The lecturers are very professional and experience. I learnt a lot from them. The student welfare was delighted and it makes me really at ease in a foreign country. What surprise me is that when I try to check the value of the Diploma awarded by Birmingham Academy by applying for a job, I was shortlisted for the job. I’m happy I got a proper and recognised academy to study. I will be more than willing to recommend an international student to study here. Birmingham Academy Pte Ltd, RBN200306960N, was incorporated on 23rd July 2003. It is officially registered, according to Singapore Statutory Requirement, with the Accounting and Corporate Regulatory Authority (ACRA). It is also registered with the Ministry of Education as a private school according to the Singapore Private Education Act in July 2003. 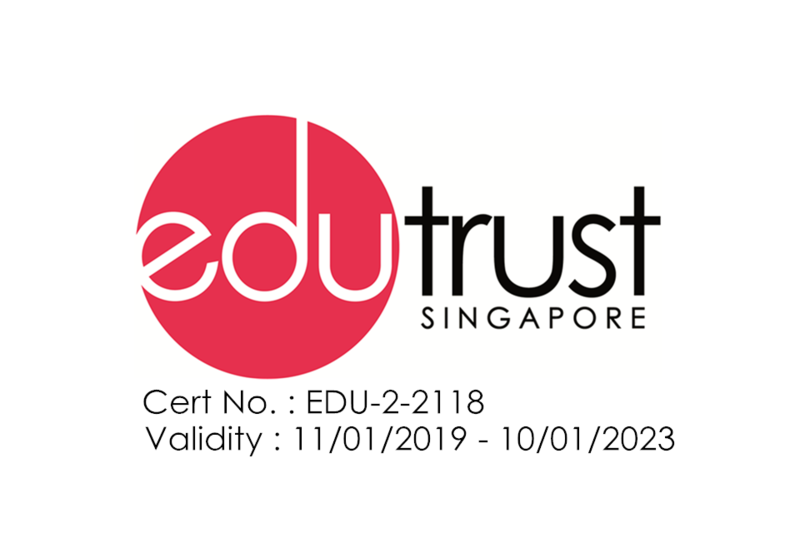 Copyright © 2012 - 2019 Birmingham Academy Pte Ltd.